The Armenian Relief Society, (ARS) was founded in New York in 1910 and was known at the time as the Armenian Red Cross. 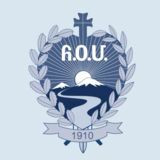 It is an independent, nonsectarian, philanthropic society serving the humanitarian, social and educational needs of Armenian and non-Armenians alike. 5 - Develop a sense of daring venture in Armenian women.